Why El-Zakzaky is still in custody – Lai Mohammed – Royal Times of Nigeria. 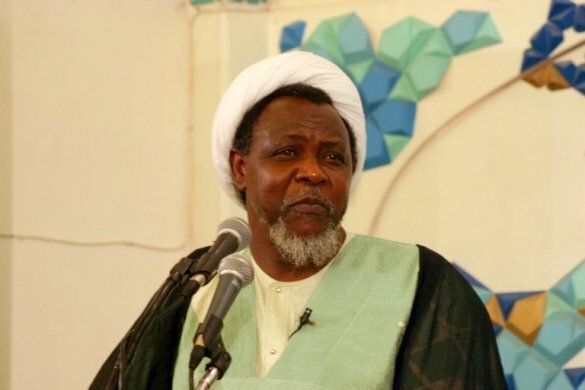 Minister of Information, Lai Mohammed, has said that the reason Shiite leader, Ibrahim El-Zakzaky, is still in protective custody is due to the federal government’s inability to build him a house. Speaking on Channels TV (Politics today) the Minister said the court ruled that El-Zakzaky be released after his house has been rebuilt. Mohammed maintained that contrary to reports, the Shiite leader, who was arrested by the Army in December 2015, is not in prison, Department of State Services or police custody. Lai Mohammed said, “I think there is a lot of deliberate misunderstanding on these issues. Number one, if a judgment is given and that judgment is appealed, you cannot accuse the government of violating that order if the appeal has not been decided. “Two, in the case of El-Zakzaky, how many Nigerians know that El-Zakzaky is not in prison custody, police custody nor DSS custody? El-Zakzaky is in a house with his family. This is the honest truth. “He is in what is called protective custody. The court ruled that he be released after his house has been rebuilt but nobody wants to accept El-Zakzaky as a neighbour. So, we have been unable to build the house. So, where do we release him to? “In the case of Dasuki, every government will always thread this very thin line between personal liberty and national security. And I think you must give the government the credit to determine what is national security. In the case of Sambo Dasuki, the issue is a grave one. “If the person is in possession of $1.2 billion; there are records that he moved in one day $1.2 billion in two transactions – we know the banks he moved them to. And you refused to tell us what you have done with that money, I don’t think it would be prudent to jeopardise the national security of a whole nation because of the individual freedom of one person. Because with $1.2 billion, you can destabilise a whole country.